The Porsche 928 is one of the puzzles of the first century of the automotive industry: How did a company steeped in the Germano-Czech tradition of race-bred rear engined air-cooled cars come, almost out of the blue, to build a front engined, water cooled GT which never had the slightest pretentions as a competition model? Author Brian Long shows just how concerned Porsche was in the early 1970s that emissions and above all safety legislation in the US could exclude the 911 from its principal market and how the company turned to a conventional 2+2 design in a bid to retain its place in America and to challenge top end offerings from Mercedes and BMW. The new Porsche began with a flourish, winning the 1977 Car of the Year award, but by the time the 928 reached the market the threat to the 911 had passed. Moreover it was clear that the 928 was too radical a departure for most Porsche enthusiasts and it became slightly isolated as Porsche pressed on with its entry level 944, the mid range 911s and the 911 turbo. Zuffenhausen nonetheless kept the 928 in production, updating it continually until 1995. 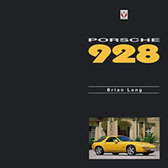 The author is a prolific Porsche writer and Porsche 928 is another workmanlike and detailed account: It covers the 928’s birth and its 18 year lifespan during which engine capacity was increased three times and the body restyled a decade into production. The book is particularly well illustrated making intelligent use of the Porsche archive to reproduce many fascinating images, especially of the 928’s development stages and it also includes a gratifying number of technical photographs. Long reveals that the 928’s few competition outings were thanks to privateers without any works support, though as his photography shows, Porsche did succeed in making the 928 the course car at high profile race meetings in Germany at least. 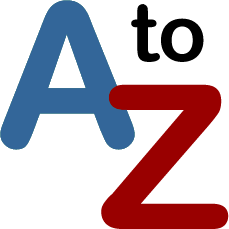 Originally published in 2009, this is very much the compendium for 928 owners and enthusiasts and a measure of its success is that in 2014 it has been reprinted. It is odd though that the opening chapter is still a potted history of Porsche and that in subsequent chapters the author inserts an intermittent commentary on 911 and 944 developments and even periodic reminders of who the US president was at a given moment. Far better surely to have devoted all the text to a car Porsche never really got behind, for, as Peter Falk said, they worked on the 928 because it was their professional duty, but on the 911 they laboured with their hearts. What Porsche 928 does not bring out is the bitter clivage it caused in Porsche which lasted almost a generation. Most in Porsche shared Horst Marchart’s view that the 928 was too big and not in the company tradition and 928 advocate Ernst Fuhrmann and Ferry Porsche did more than merely disagree over it: Ferry boycotted the CoTY award and moved his office out of Zuffenhausen so that he did not have to see a CEO he felt was usurping his role; in the end a face saving exit had to be arranged for Fuhrmann because ill feeling was beginning to paralyse the company. The author too could have looked more at the key players – contrarian Tony Lapine for example who headed design and who never liked the 911; his inspired 928 stylist Wolfgang Möbius who had already penned those 911 icons, the impact bumpers and the whale tail, is merely mentioned once or twice and his photograph appears only once, uncaptioned in a group shot. Yet unlike his boss, he chose a 911, not a 928 as his company car. What a pity the author does not appear to have spoken to Möbius who died only recently or for example to Helmut Flegl, former 928 project manager. He rightly cites the views of auto journalists in the UK and the US, but it would have been interesting to know too how the 928 fared in its native Germany and in Italy, long Porsche’s fourth largest market. It is unfortunate that the opportunity was not taken with the reprint to correct the spelling of recidivist Porsche buyer Herbert von Karajan or to identify AFN boss, John Aldington who appears centre stage in a 1978 NEC show image.